An organized closet is a thing of beauty am I right? 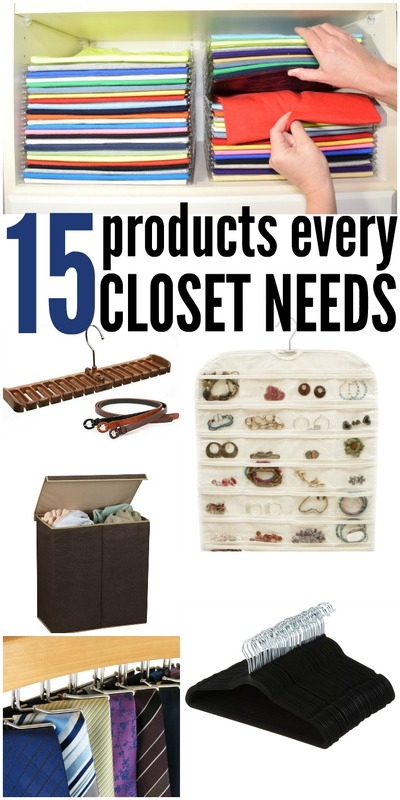 Even if your closet isn’t the most organized there are definitely some items that every closet needs! 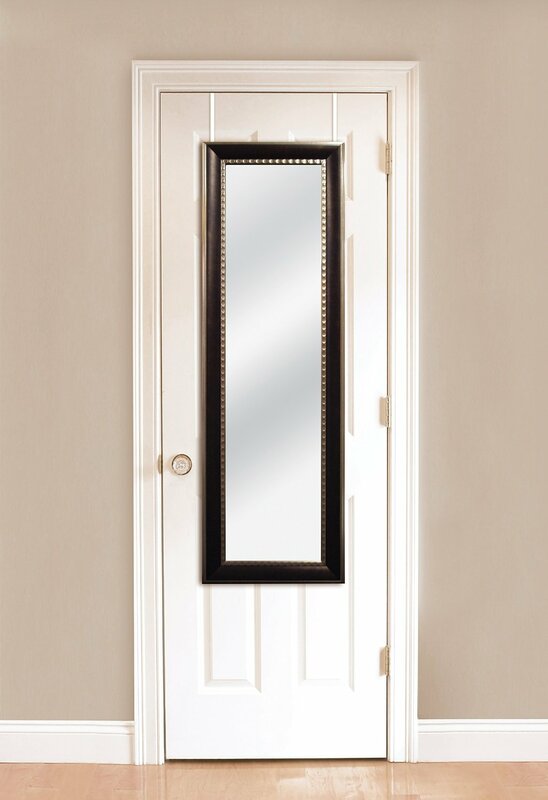 1) Over Door Mirror – I always need to see the whole picture before I leave the house! I want to make sure that my whole outfit is put together and having a mirror in the closet means that I don’t have to walk back and forth to the bathroom mirror when trying to figure out what to wear! 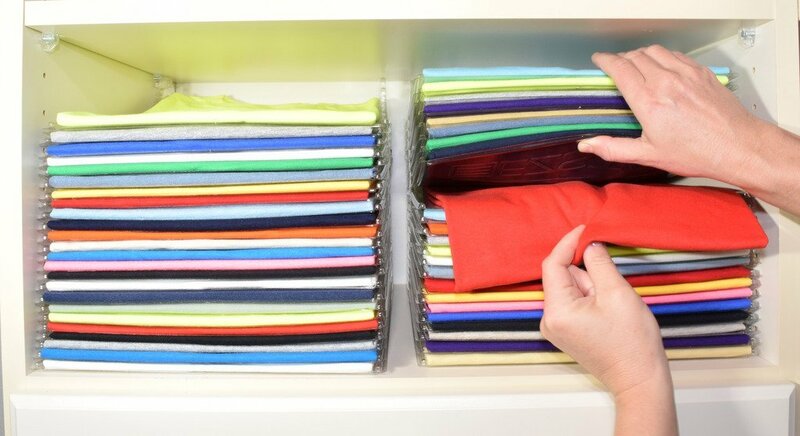 2) Clothing Organization System – This little system is amazing! When I fold all my husbands shirts and he destroys the whole pile looking for one shirt it makes me want to scream. This has the clothes separated so you can pull one from the middle of the stack without unfolding all the rest! 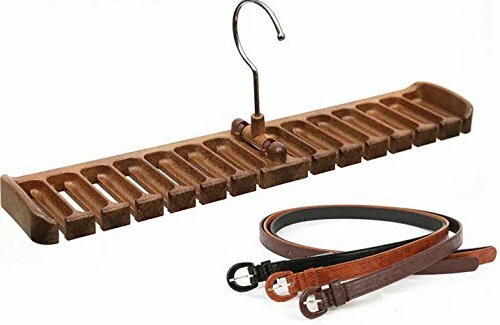 3) Belt Rack – This hanger is perfect for those awkward things that you struggle to house in your closet. 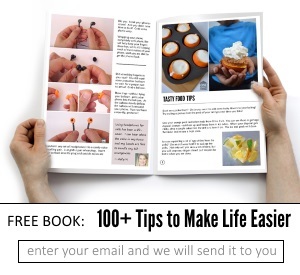 You could also use it for scarves. 4) Boot Shapers – I like this boot shaper because it has the hook on the top that you could use to hang your boots off the floor if you so desired. 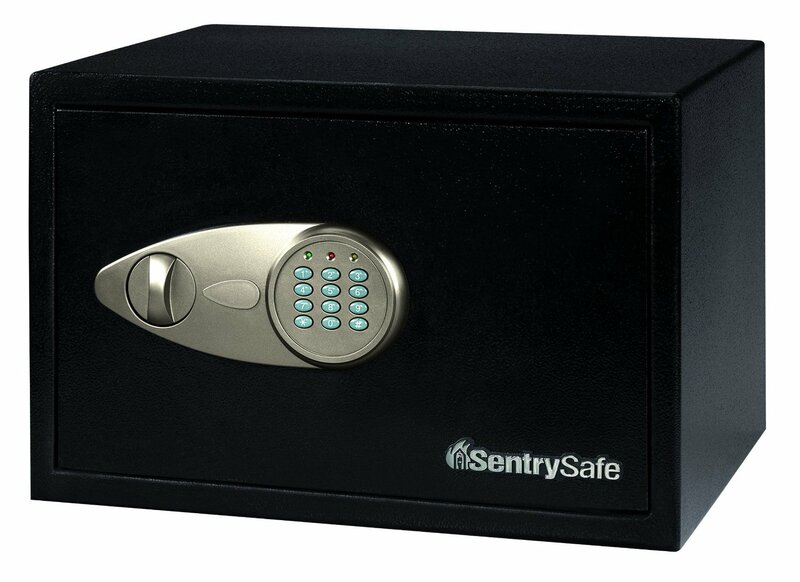 5) Security Safe – It just seems like the closet is a great place to lock up your valuables so that they are close at hand if you ever need to get to them quickly like during a fire or another emergency. 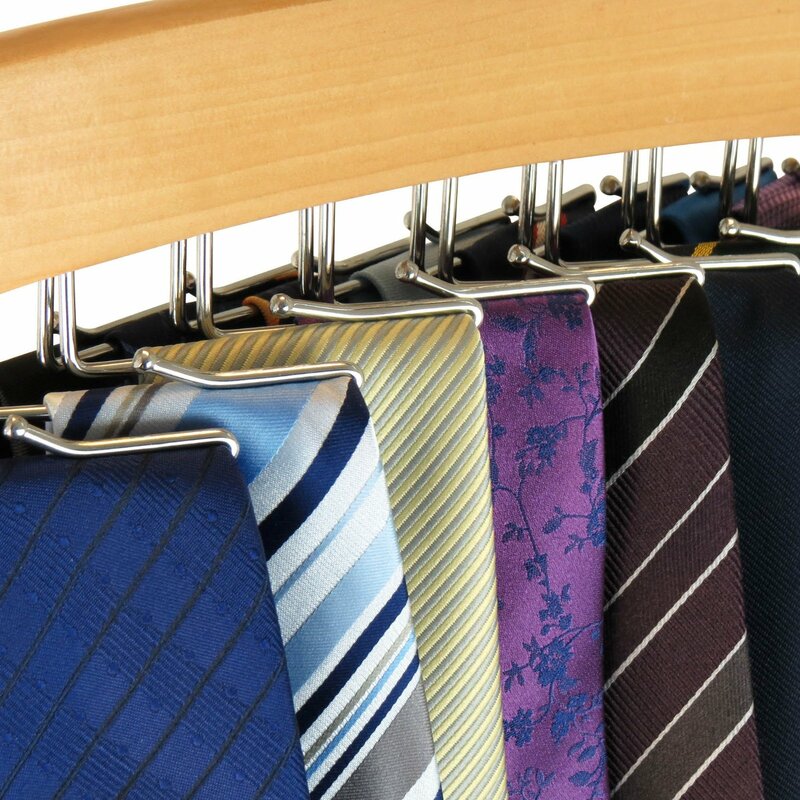 6) Tie Rack – Keep your ties unwrinkled and and organized with this hanger. You could also hang scarves and belts with this. 7) Charcoal Odor Absorber – Literally everyone in my house needs these! 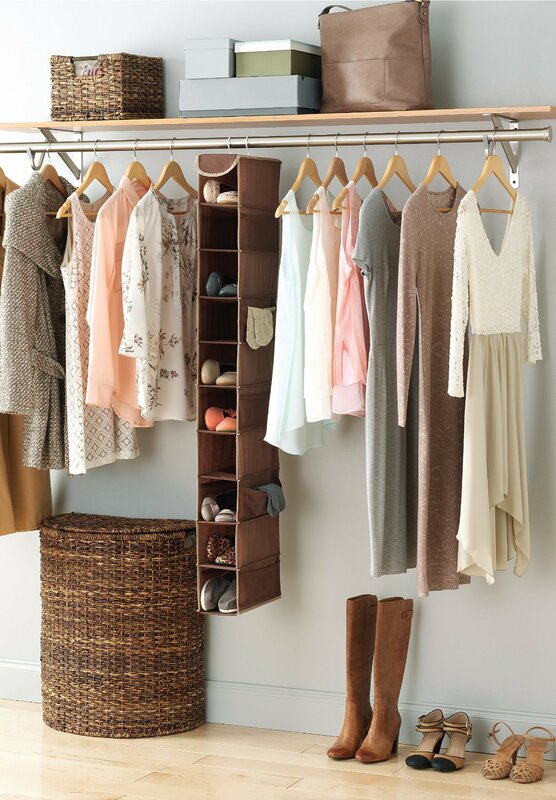 Keep your closet smelling fresh by getting rid of any odors that might be in your clothes and shoes! 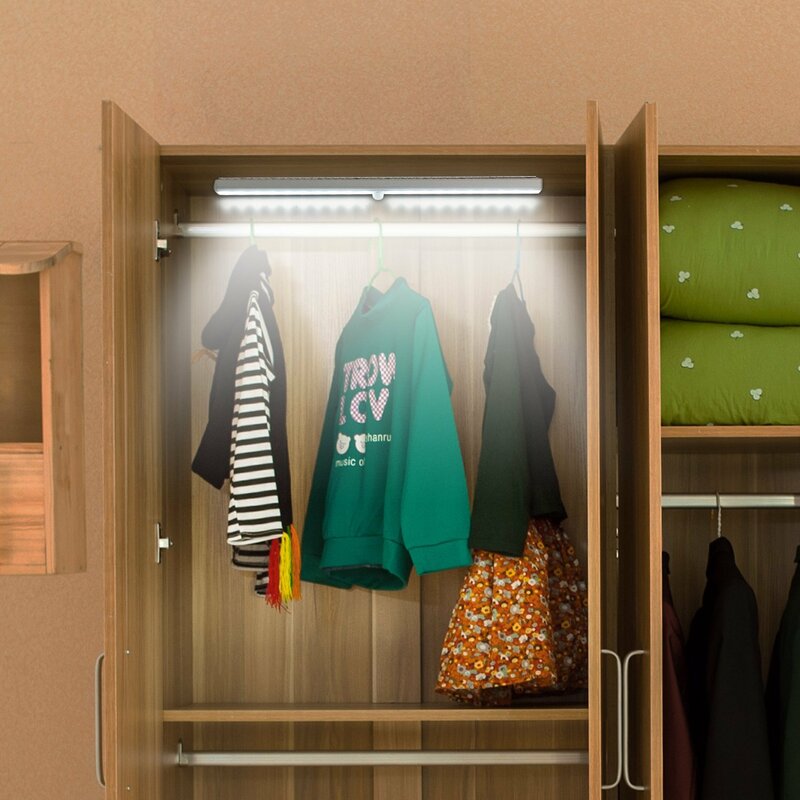 8) Motion Light – When you open your closet door it can be super dark! This light is great for shedding light on your clothing situation! 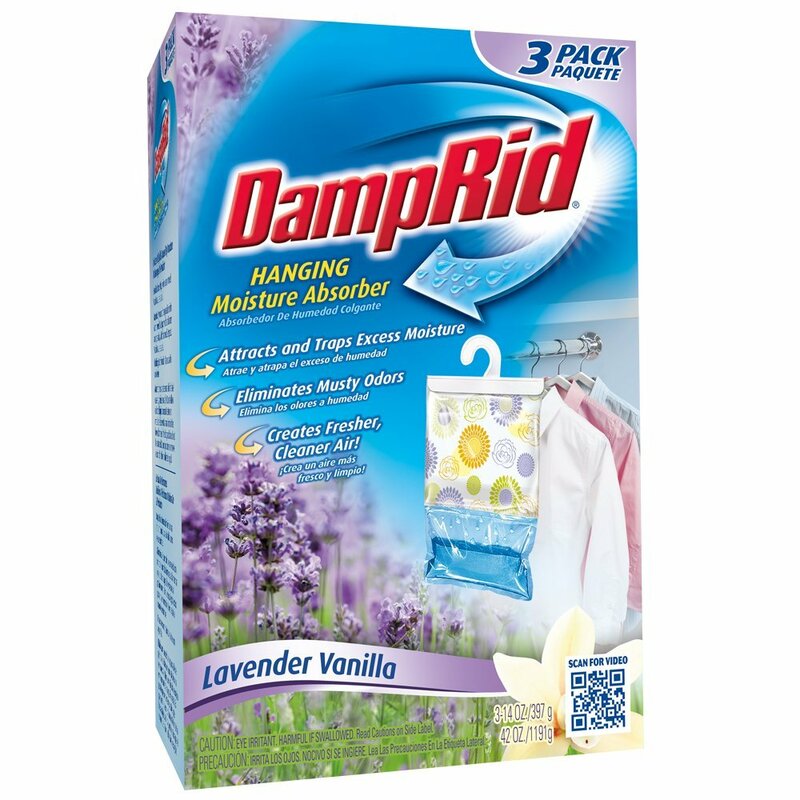 9) Damp Rid – Keep your closet fresh and clean in a moist environment by using these damp rid packets. They are also scented to give your closet a fresh scent. 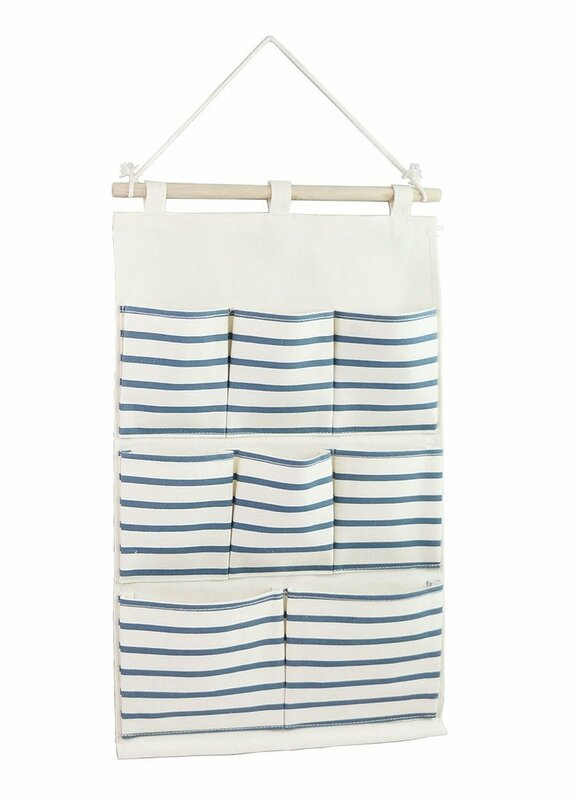 10) Hanging Pocket Organizer – This organizer is a great place for odds and ends that may not have a spot in the closet. My hubby has a lot of extras that go along with his work outfit and these pockets are perfect storage to keep his junk out of sight! 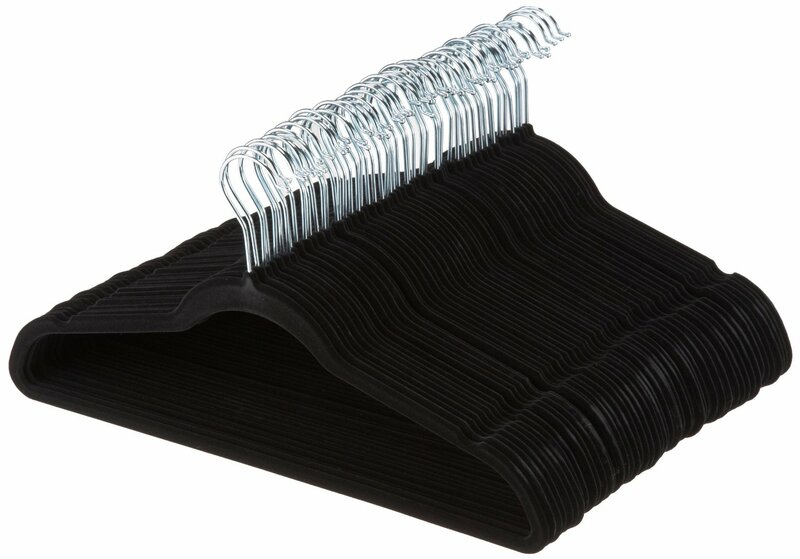 11) Velvet Hangers – I have so many shirts that slip off those plastic hangers. These velvet hangers are amazingly helpful in keeping sweaters and shirts on the hanger and off the floor. 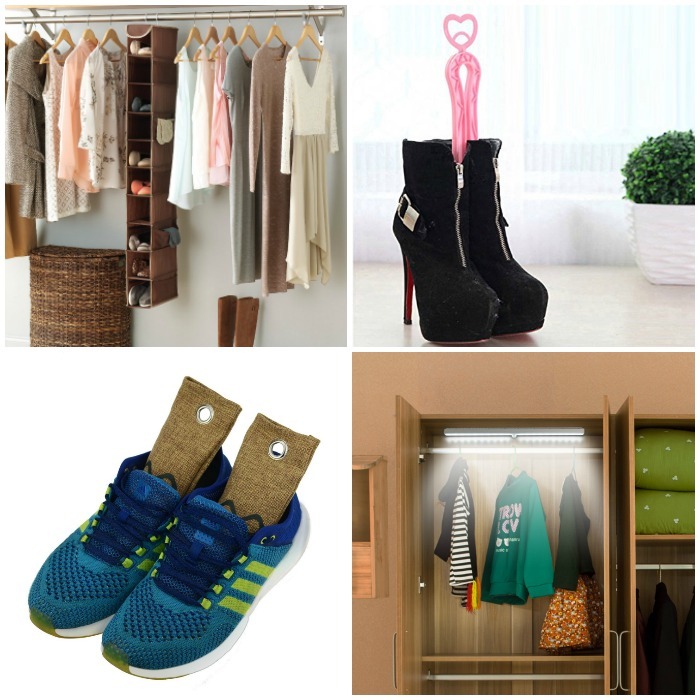 12) Shoe Organizer – I can’t be the only one who has a large amount of shoes? I honestly have like 3 of these hanging shoe organizers in my closet. 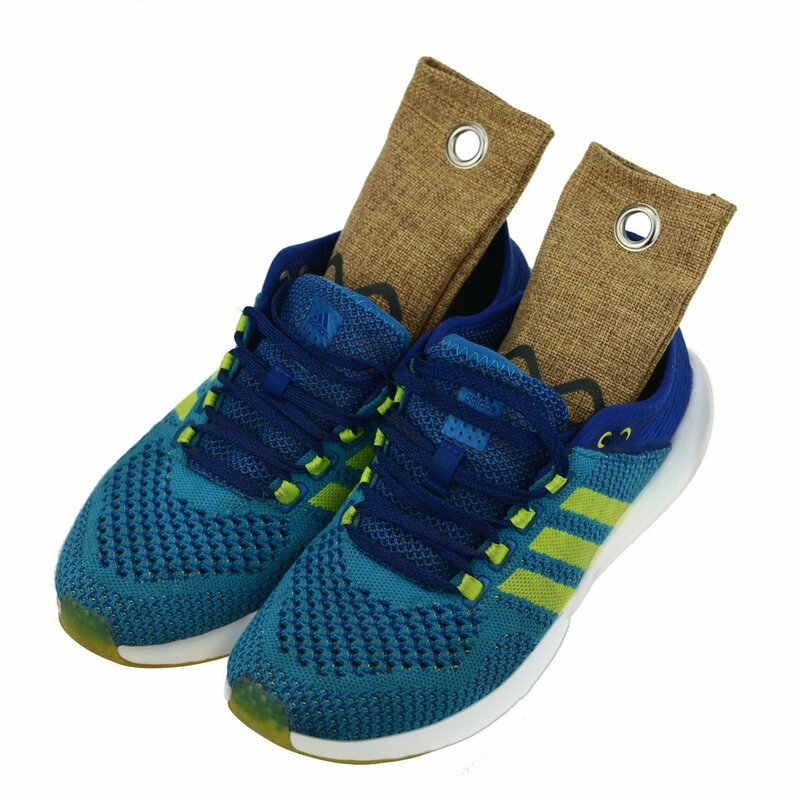 They are so versatile because you can put a small pair in one slot and a bigger pair in two slots. 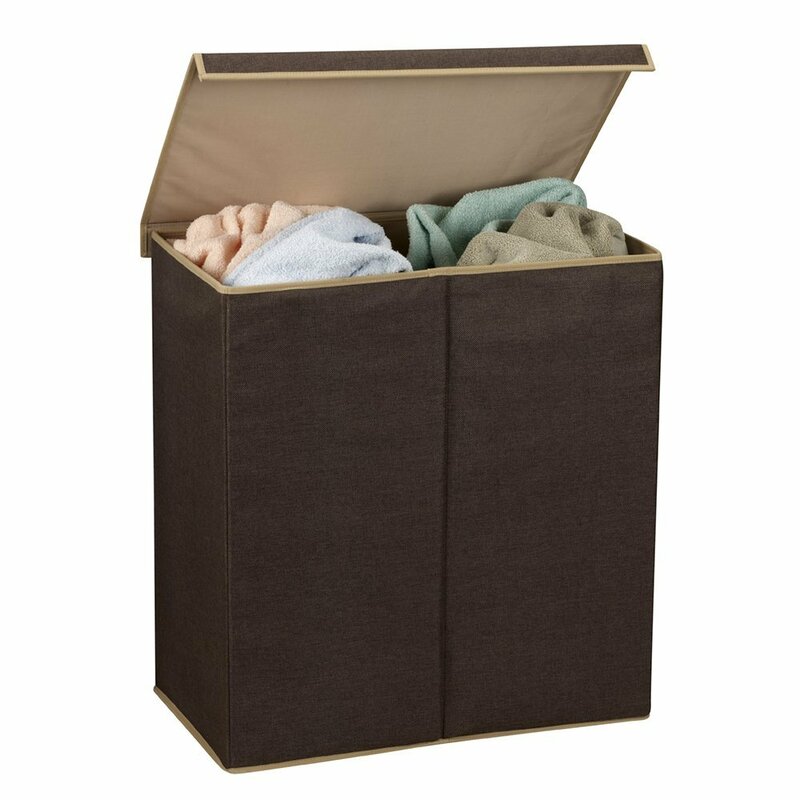 13) Laundry Hamper – I love a hamper that has separate compartments so you can separate your laundry as you use it rather than taking a lot of extra time while you are doing laundry! 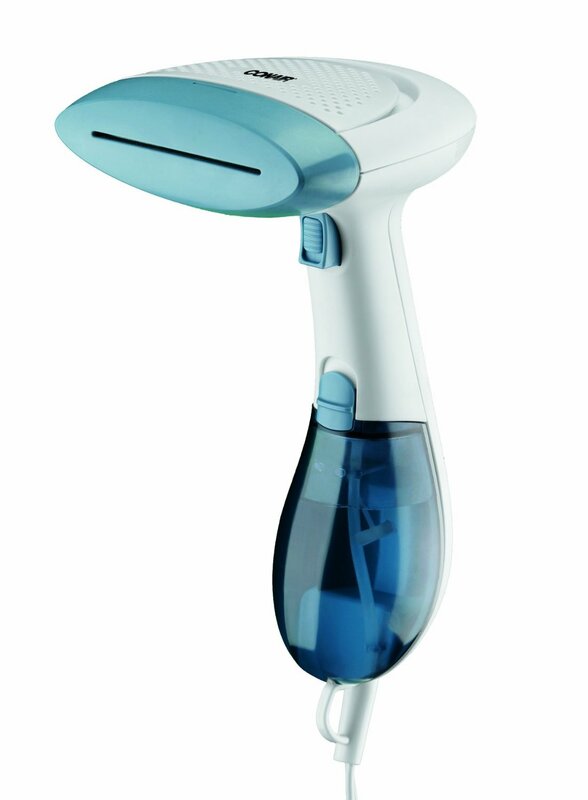 14) Hand Held Steamer – No matter how hard I try I still find my clothes getting wrinkled and the only time I use my iron is for sewing so a steamer is a definite must in my closet! 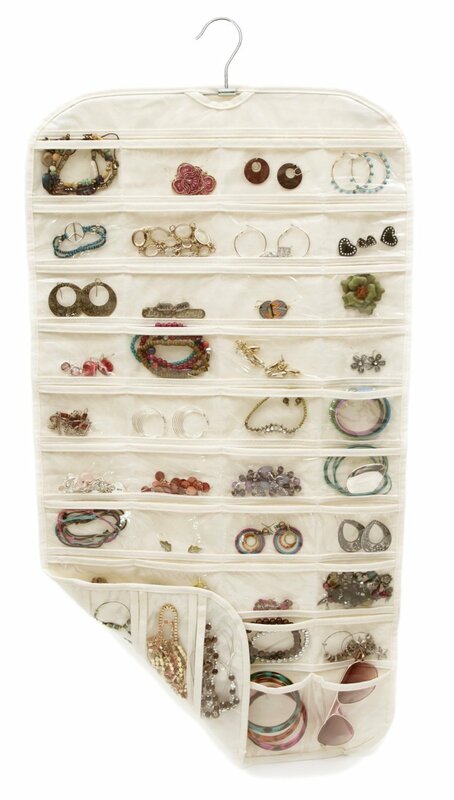 15) Hanging Accessory Pockets – I love this accessory hanger for separating your accessories and still being able to see them all while keeping them nice!